who did the wiring and soldering for Colossus, the world’s first electronic computer; Sophie Wilson who co-designed the ARM processor, found in almost every mobile phone and tablet; and Dame Stephanie Shirley who founded Freelance Programmers, one of the UK’s earliest software startups. The afternoon got into full swing with a presentation applauding the pioneers present and the announcement of a new Google sponsored gallery at The National Museum of Computing (TNMOC). 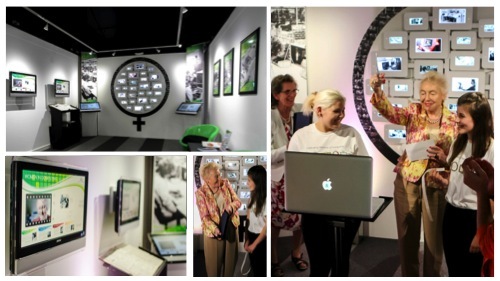 The gallery aims to highlight the achievements and roles played by women as visionaries, engineers, entrepreneurs, programmers and more. It was aptly launched with a speech by Dame Stephanie Shirley speaking via hangout from the new Gallery. Afterwards, people were free to enjoy tours of Bletchley Park, guided by some of the original ‘Wrens’ stationed there during the war, and to visit TNMOC where they could see the new gallery as well as many other exhibits, and even get hands on and learn to solder! Bletchley’s Mansion was also decked out for the event with posters highlighting 20 women from the UK and beyond who have made groundbreaking contributions to computing—among them, Dina St Johnston, Grace Hopper, Kateryna Yushchenko, Karen Sparck Jones, Barbara Liskov, Sister Mary Kenneth Keller, Hedy Lamarr, and many more, not least Ada Lovelace who started it all. Other exhibits included displays by those working to encourage young people to get interested in computing, including CAS #include, Technology Will Save Us and Apps For Good. Overall, it was a splendid day and a chance to shine a light on some of those whose contributions are often overlooked. And this is just the beginning. Thanks to the digital touch screens installed in the new gallery, the displays will evolve and expand as more stories are found. Do get in touch if you have an idea or would like to contribute. We’re keen for this to be an inspiring resource for all visitors—especially for girls curious about computing’s opportunities. 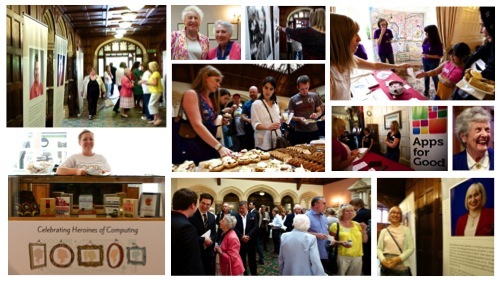 Last Saturday saw a special gathering at Bletchley Park to showcase the contributions of women to computing. 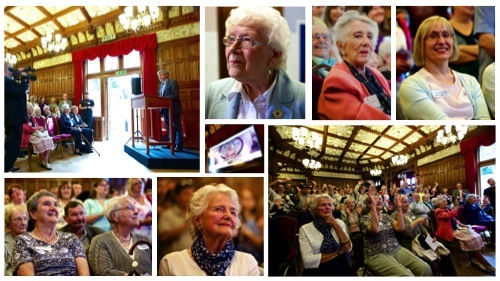 We were joined in person by some of the UK’s female pioneers—including Margaret Bullen who did the wiring and soldering for Colossus, the world’s first electronic computer; Sophie Wilson who co-designed the ARM processor, found in almost every mobile phone and tablet; and Dame Stephanie Shirley who founded Freelance Programmers, one of the UK’s earliest software startups.